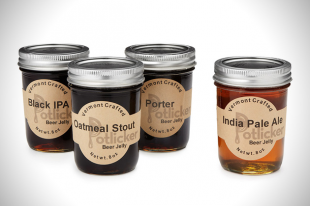 Beer Jelly: it’s a jelly made out of traditional ingredients of beer: hops, malt and yeast. You can taste all of those ingredients in the jellies. You’ll taste the sweetness of the malt combined with the hop profiles of the type of beer used, for example the Oatmeal Stout, the Porter and the India Pale Ale. You can even order a Gluten Free Beer Jelly! 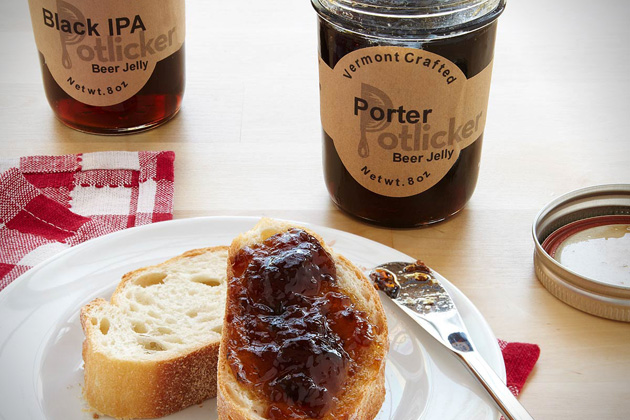 When you don’t like to start your day with the flavor of beer, you can always use the jelly to glaze meats, mix them in cocktails and salad dressings or use it for whatever you like.